This is the PicoScope Four Channel Starter Kit (PP921) plus Insulation Piercing Probes, 3 extra Attenuators and other added items. We encourage doing your homework and shopping around, just be sure to compare kit contents. No other supplier can offer the value of an Autonerdz PicoScope kit. These kits are not available anywhere else! These kits are only available from Autonerdz or one of our partners. This kit includes one Autonerdz PicoGroup Training and Support Subscription. This subscription auto-renews every year at no extra charge. A scan tool will tell you what problems the ECU has detected, but will it tell you everything? Only with PicoScope can you see the full picture and get to the heart of vehicle diagnostics. A PC-based PicoScope is the ultimate workshop diagnostic tool. Alongside your scan tool, it adds the ability to analyze intermittent problems, test components before replacing them, and confirm a fix after fitting - retaining customers while increasing sales and profits. $1300 - Autonerdz Training and Support Subscription (multiplied by the number of years you own the equipment). · Toll Free US/CA Phone Support. No please hold hell or circular phone trees. Calls are usually answered the same day. · Group Therapy With The Picotologist Sessions. These monthly live voice enabled Internet sessions enable users to interact with each other exchanging files as well as helpful tips and techniques. · Email Support. This is often a great way to get your issue resolved. I can’t see what your doing on the phone but sending me your psd file allows me to see exactly what you are doing and helps me to give more exacting suggestions. · Personalized Assistance. When needed, we can get into your PC with you and provide direct assistance. This requires the use of free VNC software and a broadband internet connection. · The Autonerdz Community Forums. Access to the PicoScope Users section of the Autonerdz Community Forums. Now including web delivered Flash tutorial movies. Also supplied on CD. · Live Hands On Classes. Free live hands on PicoScope training events at our facility in Olympia, Washington. These events are scheduling several times a year and have been attended by Picogroup members from the USA and Canada. ·The Drop Site. The Autonerdz Drop Site is a very fast and easy way to share very large files with other Picogroup members. The PicoScope data files can be much too large to share by other means and many other helpful files are available there as well. None of this is meant to replace the fine direct Pico Technology factory support. 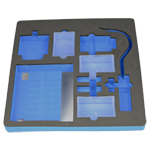 This package is meant to enhance your PicoScope experience. None of us has all the answers and some issues require factory support. Also, I reserve the right to go on vacation :-) Unlike the support subscription below, the support package that comes with a kit purchase from Autonerdz does not expire. However, if you upgrade your hardware purchasing from another supplier, obviously the support package no longer applies to you. Be sure to talk to us before purchasing a newer model PicoScope. Loyalty is well rewarded. Canadian customers: Please contact our Affiliate in Canada Mike Jones Auto Engineering to order your equipment. You will receive the same Autonerdz PicoGroup resources when ordering a PicoScope kit, but avoid the additional expense of shipping from the U.S.
United Kingdom customers: Please contact our partner LMH Engineering Services. Select PicoScope kits from LMH Include all the Autonerdz PicoGroup resources.